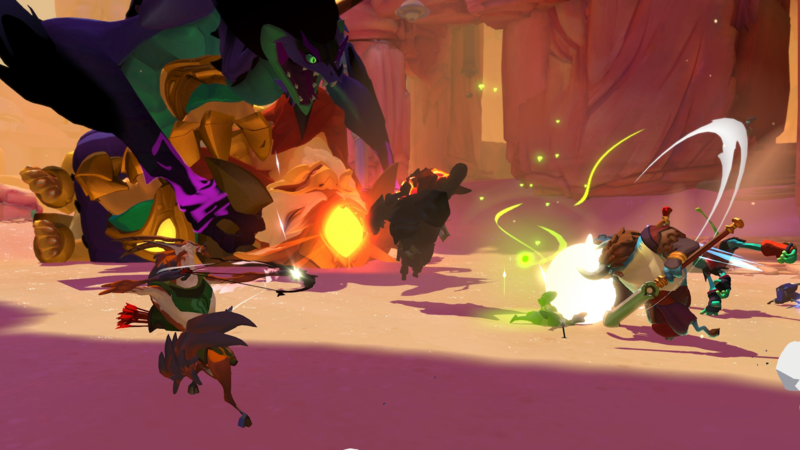 We are thrilled to return to Arc with a massive update to Gigantic! Our June 2017 release marks the last major release of the Open Beta, and kicks off the final month leading up to the official drop of the game on July 20th, 2017 by launching on Steam. We’re excited to welcome back everyone who has been waiting to join the Open Beta on the Windows 7, 8, 10 and Xbox One platforms, and have a lot in store for you in the days leading up to launch. The June release introduces several new features and a hefty handful of updates to your game. We’ve added bot matches to help you hone your skills, voice chat to aid communication and coordination with your team, and a whole new teaching experience for new players just getting started in the game. We’ve also updated each of Gigantic’s battlefields, as well as a huge number of improvements to the in-game UI and Heroes. There’s more news on the horizon, so be sure to follow our social channels (Twitter, Facebook, YouTube, Twitch). In the meantime, create your Arc account and download Gigantic today! We’ll see you on the airship!